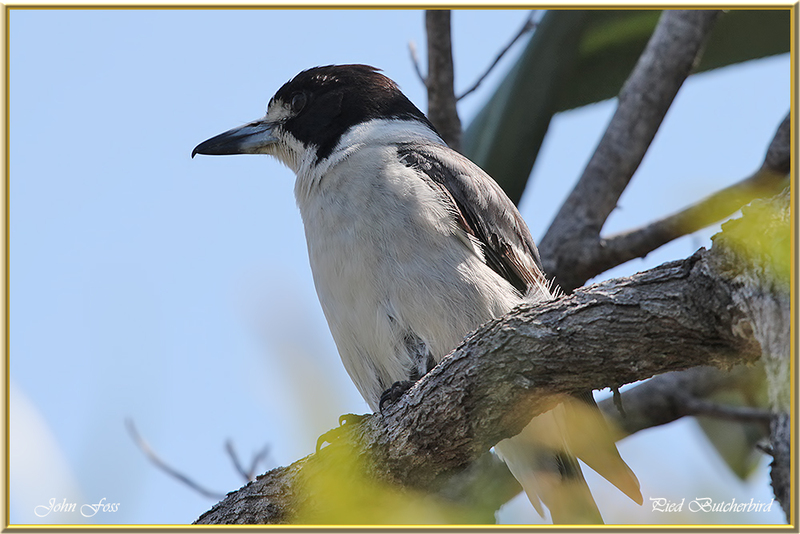 Pied Butcherbird - native to Australia. 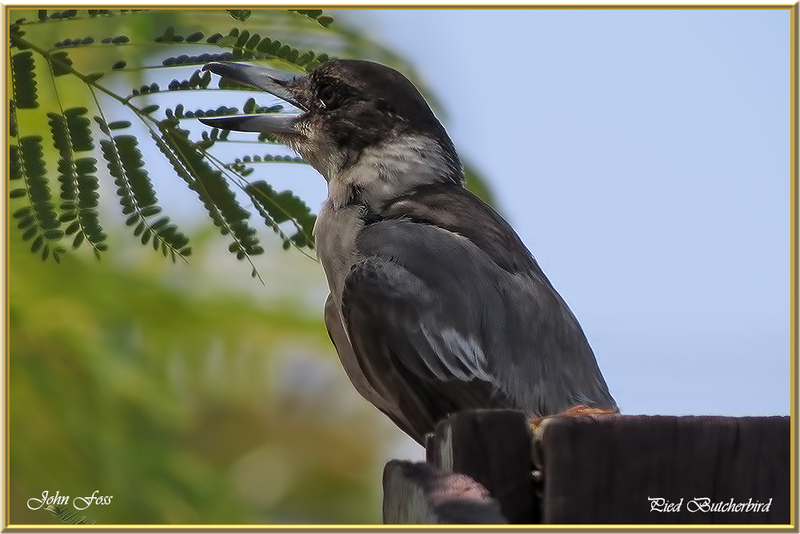 Common in woodlands and in urban environments, it is carnivorous, eating small vertebrates and insects. Most food is caught on the ground. 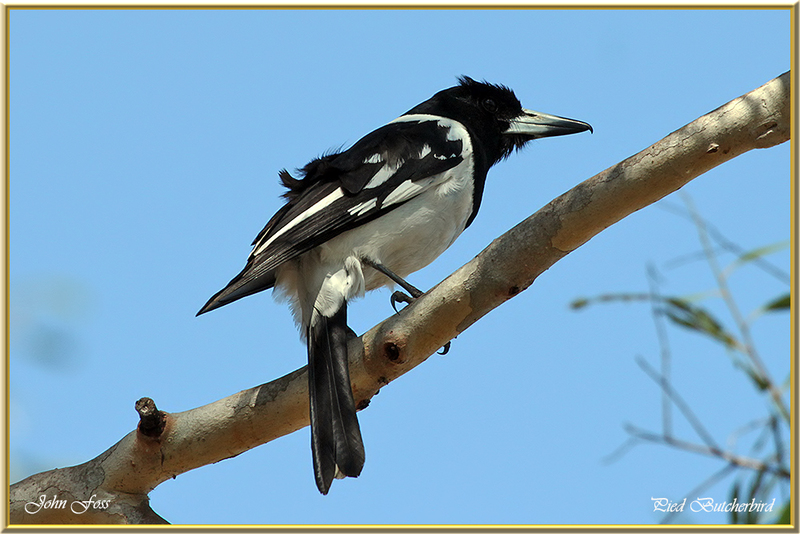 Considered the most accomplished songbird in Australia due to its flutelike calls. 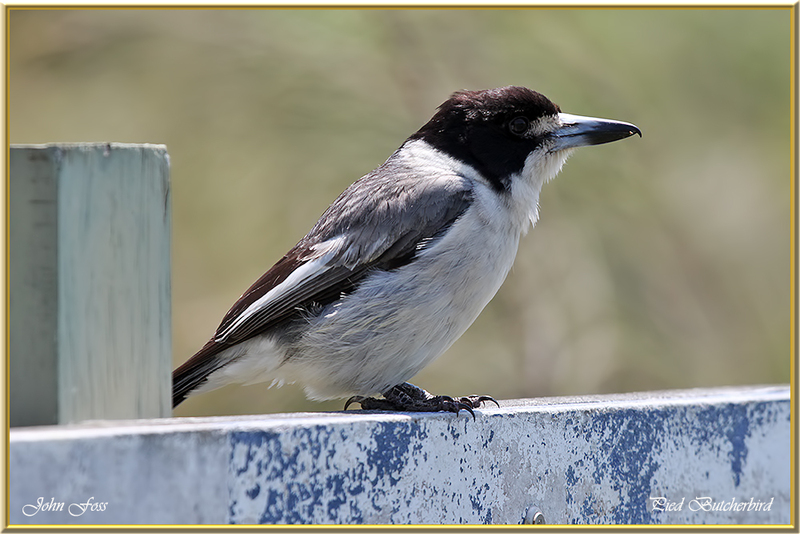 Juveniles are more brown in colour until adult.We were woken up early by beautiful choirs of butcherbird song when visiting Bundaberg Australia where these images were taken.